How do I set up a FTP Destination in SQL-RD? Deliver your SSRS reports to FTP & Secure FTP directories. Click Add and select FTP. 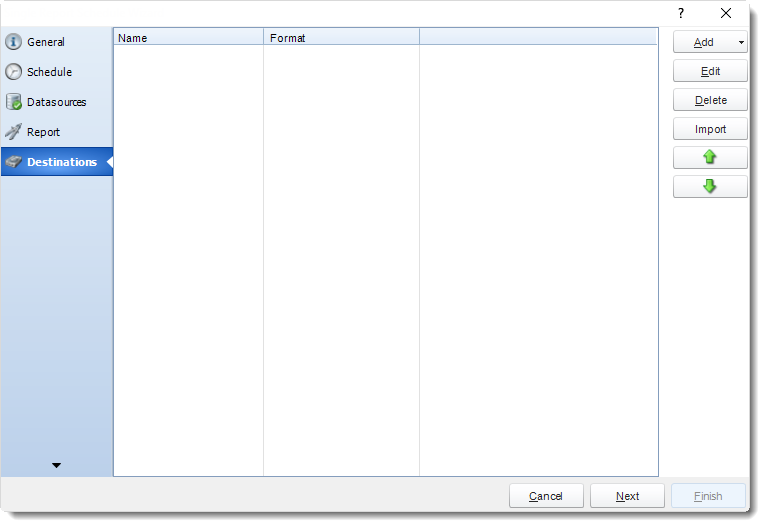 FTP Server: Type in the FTP server address. 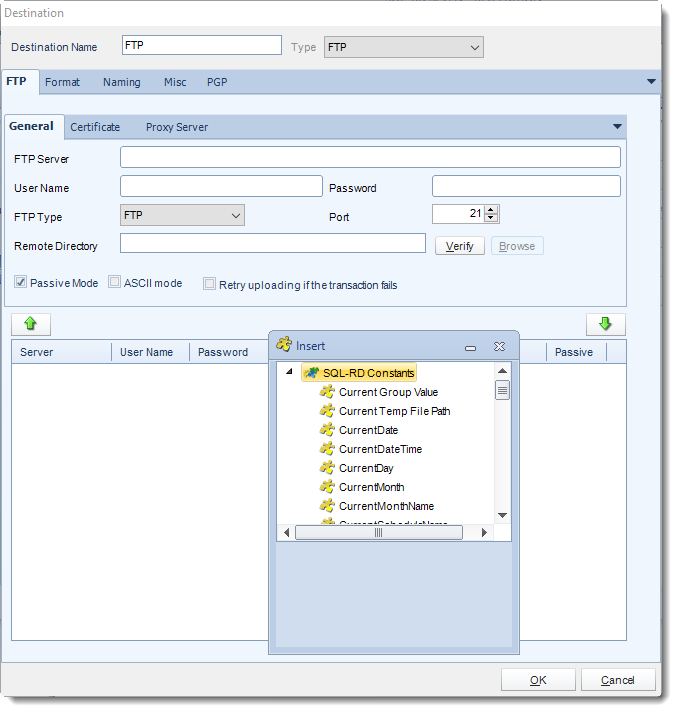 FTP Username: Type in the FTP server user name. FTP Password: Type in the FTP password. FTP Type: There are several types of FTP that are supported. You can also choose whether to use passive or active mode FTP sessions. Verify: Click Verify to test your connection.